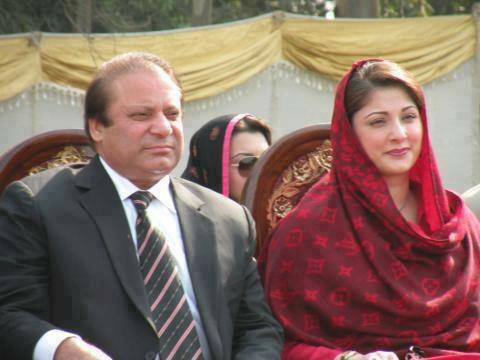 AF Ferguson & Co, a Pakistani chartered accountant firm, said there was no conflict in the income tax returns of Prime Minister Nawaz Sharif and Maryam Nawaz, adding that tax returns were according to the law. It said that in 2011, the name of Maryam Nawaz was correctly listed in the column prescribed for plots mentioning. The name of Maryam in the tax return was not declared in the column of dependent children. It added that due to non-availability of the column for independent children, her name was written in column 12. According to a private TV channel, Sharif family had sought an opinion from AF Ferguson & Co in connection with the petition filed in the Supreme Court of Pakistan. In this regard, AF Ferguson & Co said at the time of plot purchasing, Maryam herself was a taxpayer. She had paid the amount from her bank resources for buying the plot. It said in 2012-13 tax returns, she had declared the plot on her name. It added that in 2015, the FBR had made amendment in the tax returns. Whoever gave this opinion, you are a disgrace to my profession! For statutory audits, the auditors responsibilities are prescribed by government laws as well as international accounting standards. However, in case of a 'one-off' thing like income tax returns, through careful wording of their certificate and/or limiting the context/period, the auditors can manage to serve the client's particular 'needs' while evading any liability for the statement made. Like some statements are wrong not in what they say but in what they do not say. And the doctrine 'auditors are watch-dogs and not blood-hounds' also helps. Still we hear of clients suing auditors, including international audit firms for negligence, to cover which they take out professional indemnity insurance polices. All this hardly sounds very re-assuring. As an Australian taxpayer, you can derive a lot of benefits from having a good tax accountant in Sydney. Here are some tips for getting prime tax experts to help you get in order your individual tax return.